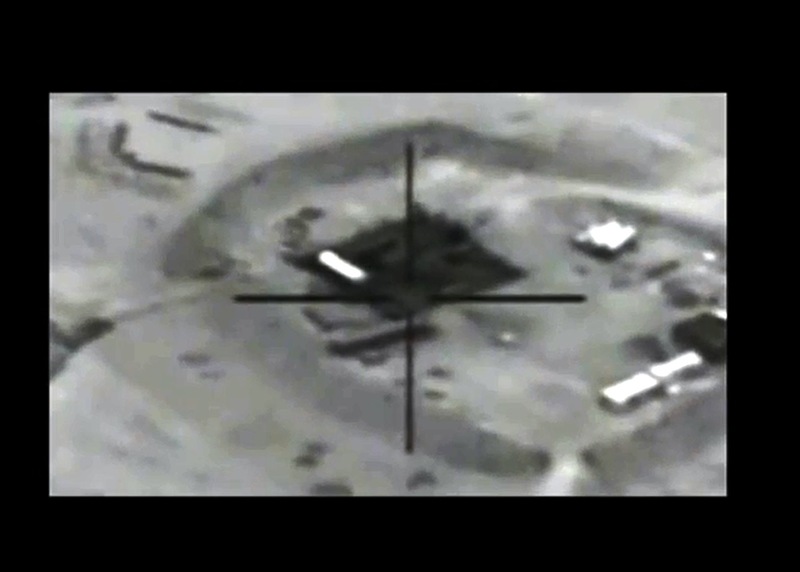 The United States Central Command has released unclassified video of an air strike Wednesday, Sept. 24, 2014, on the Jeribe West Modular Refinery in Syria. The Islamic State militants (ISIL) reportedly earn an estimated $2 million daily from several oil fields and refineries in the region. The Syrian Observatory for Human Rights says the airstrikes killed 20 people, including 14 militants.